10 Years of Discussing Dissociation! Today, is 10 Terrific Years of Discussing Dissociation Day !! I can’t even believe it! How is that possible, and where has all the time gone??!! This is a big day for me. It feels amazing, exciting, wonderful, and all kinds of incredible. I’m just astounded that we’ve carried on this long and gone this far together! So let’s have fun today. I have been thinking about this, and I have some ideas to suggest. I’ll give you a hint though….. It’s going to be all about 10.! “10 this, 10 that!” You’re gonna be tired of me saying 10! For fun, and of course, for some helpful benefits as well, I’m going to give you 10 challenges. We’ll see which ones you can do — you don’t HAVE to do these challenges, of course, but maybe some of them will be fun. Oh, and of course, there is no time limit, so if you wanna do all 10 of them, go for it! In the comments below — or in an email, if you want privacy — please tell me 10 words that you would use to describe Discussing Dissociation. 10 simple words (or phrases if you need to), but preferably 10 words. This is a cool way to get your thoughts and feedback, and I’m always interested in your opinions, too. IF you know your favorite article here, or up to your favorite 10 articles here, please let me know which articles YOU like the best. You can list them in the comments section below OR simply post a new comment on the article of your choosing, and let me know THAT’s the article you like. I’ve been thinking about this for myself as well, and this is a difficult challenge! As you know, there are over 400 articles to choose from. How do you ever pick your top 10? Say hello, or welcome, or post a reply comment to 10 different other readers this week. A few months ago, I challenged myself to post to or email 100 different blog readers, and that’s been super good to do. I believe it is important to purposefully reach out to a variety of folks, especially to folks who are rather new to me. I have a chart of everyone I wrote to during my 100-post challenge for myself. If you’ve heard from me over the past few months, your name is probably on my chart! So…. I pass that baton to you now, only how about you make sure to post to 10 different readers in this community. It might just make their day to hear from you! And…. I have to say, I think it is SUPER COOL that we reached our 10,000 comments right before the 10th year party. How cool is THAT??!! I really love how much we communicate with each other as a community. It’s just fantastic to see, and I hope it keeps growing and growing and growing! Do you have anyone in your system who is 10 years old? I would specific love to hear from the other 10-year olds out there! Please write a comment, or send an email, or send in a little note from the Contact page. ALL the 10-year olds around here are welcome to join in the fun and say hi! We can make this a Happy 10-year old party for ALL the 10-year olds! Hi hi hi hi and hi to everyone and anyone who is 10 years old today too! How are you, and what stuff do you like? Please tell me how your day is going — I’d like to hear from you! And…. in honor of this Terrific 10 Time, I also want to challenge your entire DID system to do something specifically nice and kind for your 10-year olds this week. If you don’t have a 10-year old, pick another group of young ones who are approximately 10 years old. What can you do with your 10-year old? First… make sure their basic needs are met. You know — I talk about this all the time. Make sure they have something tasty to eat, and something healthy to eat, and plenty of fresh water to drink, or maybe chocolate milk, or apple juice or a smoothie. Anything that is tasty for 10-year olds to enjoy, and yet healthy enough to have! Also, make sure your 10-years old have clean, fresh, comfortable clothing on. So many little ones are still in their grungy dirty clothes, so … for our Terrific 10’s, let’s double check to make sure they have proper clothing on. AND… for that matter, you could let them have something extra fun to wear this week! Maybe they get some fun new silly socks, or maybe they get a new sweatshirt to stay warm, or maybe they can have a funny hat, or a new t-shirt. Just give your 10-year olds some extra consideration this week, and do a few extra good things for them. And what fun, or recreational activities can your 10-year olds do this week? Can they watch their favorite TV show? Or maybe go to a new movie at the cinema theatre? Or ride their bike outside for awhile? Or go to the zoo? Or go play on skates or a skateboard? Maybe your 10-year olds like to read, and would like a new novel to read, or some new library books, or a new game to play? Or maybe let your 10-year olds have some extra time in your therapy sessions this week. Maybe they have something to say too! Or maybe they want to listen to the stories and the videos in the Saddest Little Bear Story Pack again. Don’t forget about that resource! Those videos can be fun and helpful for your kids, over and over and over again! If the word “Discussing” feels too short or limiting for you, use “Discussing Dissociation” as a combined phrase, and see what topics you can come up with that way. The main goal of this exercise is to think about the topics that you need to talk about more, and maybe that will give me some ideas for new blog articles as well. Discussing Dissociation uses the puzzle theme. I challenge you to put a puzzle together this week! For that matter, I challenge you to put 10 puzzles together this week! Of course, my first thoughts are about jigsaw puzzles, but there are lots of different kinds of puzzles available. or 10 minutes to listen to the Discussing Dissociation videos. If you spend 10 minutes here every day this week, you might see something new — something that you haven’t noticed before. Even if you feel like you have seen everything, ask someone deeper inside your system if they would like a 10 minute turn looking at the site. They may not have been around to see and read everything that you’ve seen and read. And when you do see something new-to-you, please let the others in your system know about it! And it would be great if you let me know the new nooks and crannies you found while searching around. Sounds like a fun plan! If Discussing Dissociation has been helpful for you and your system during the past 10 years, consider a one-time $10 “Support this Site” contribution as a way to literally, support this site! Yes, yes, yes, I will continue to build and expand, and build and expand, and expand and build the resources we have here in this community, so yes! Your support is definitely appreciated. And any $10 gifts that arrive this month, I’ll definitely consider them to be Happy 10-Year Appreciation Presents from you. OH — and so many many many thank you’s to those of you who have already contributed on the Support this Site option! I sincerely thank you for your participation in keeping this site alive and well! And last, but not least ….. if Discussing Dissociation has been helpful for you and your system, I would certainly greatly appreciate it if you would share 10 links with your friends or your support team. Re-tweet 10 twitter posts, or share 10 Facebook posts, or forward 10 emails, or add 10 links to Discussing Dissociation out on other sites you visit, or share 10 video links, or share 10 Pinterest pins, or any combination of any of these ideas. It means a lot to me for y’all to help share in spreading the word about how good we are doing here at Discussing Dissociation! Because you know … I think as a resource and as a community, we are doing AWESOME !!! AFTER the Terrific 10 Year Day?? What’s Next? Well…. what I can say is this has been an amazing start to another very busy 10 years to come! I’ve got more ideas than ever, and I have only begun to build the resources that I want to share with you. Obviously, the Discussing Dissociation Community Forum is coming next !! I reeeeeeeeallly wanted the Forum to be ready by today, but I just had a few too many things to juggle and those irritating internet interruptions, so unfortunately, I was unable to get it done by today. Gosh darn it! I am very disappointed with that, but I know that my team also wants to do a good job putting all the layers together correctly, and patience is important. We are so so so so close.!! I will get the latest update from the computer gal soon, but I expect that Laura and I will be able to “test out” the forum by this weekend. And once we know that all is well, it will be available to you AS SOON AS POSSIBLE. After the Community Friendship Forum gets off the ground, the Premium Educational Forum will get started shortly thereafter. The next little bear story, featuring ElleBear (pronounced Elly Bear) is already peeking around the corner as well. I know there is interest in a new DID Survivor Artwork Series, so that’s high on my list. And I have several other surprises I’ll just keep to myself for now, but know that I am working on a bunch of projects! This site will definitely continue to grow and grow and grow, and let’s all say three loud cheers for another 10 years! And as always, I wish you and all your insiders the very best in your healing journey. Encouragement and blessings for a Happy New Year, everyone. Remember I am 10 I like Challenges so I’m gonna do Them all. Oh yes, yes, yes, Jessie! I absolutely remember that you are 10! You are specifically one of the 10-year olds who I was thinking of when I wrote those paragraphs for 10-year olds! And you are one tough smart determined and clever 10-year old too! It will take a lot of work to do all 10 of the challenges, but I bet you can do it! I’ll be glad to see you do them, too. I’ll smile with and clap with each one you accomplish! 🙂 . Thanks for being here, Jessie. I appreciate you! I push people out so I have a turn at talking or doing something ir I get frustrated when some doesn’t have the right answers. So my therapist is trying to get me to ask first. Sometimes I can but mostly I can not yet. When I do I feel happy but nobody every notices when I do. Once we use a talking stick. The person who had the stick gets to talk and nobody else. My name is Jessie I’m 10 also I would like to be yours and Kecia friend. It is hard being 10 in a grown up body. I am happy that I am happy that more 10 years old are on here. I thought I was the only one. I hope I get to read about more of us. Do you live with KenKen? I like reading his post he seams to be a nice man is he? Maybe you can do all the challenges. I am trying to do them. The hard one will be sharing 10 post. I’m just not sure if it is 10 different people or just sharing 10. Do you know? I like being outside to we use to walk up the mountain everyday . Then Joe died now we do not do a lot of stuff we use to. There is always work to be done when owning a home and not having a husband around to help. It is cold where we live too. We have a small dog Chihuahua Shih Tzu mix he is only 4.5 lbs. When Baby and I take turn letting him out we just want him to pee and poop fast. Because he so little he doesn’t like the cold either. It is only 10 degrees here. We have some snow on the ground. Do you get snow or just cold? I like being outside when it’s snowing. It’s fun to play in the snow at night time. Lori wears a Fitbit now it shows when you have been sleeping . It’s fun to look at the data with the sleep patterns on therapy day our sleep is the worst. Sometimes she will ask us ok who was doing what last night. Our husband bught is a GPS for two reason we can always find our way home and it shows we here we have been. Lori thinks all d.i.d people should have both of these tools. Did puzzles with the grandbabies did word puzzles on the phone did quilting that like puzzles too. Do that almost every day with Belinda and Darcy. I do through emails. We are crazy busy right now packing for a move, so kids will have Christmas at the new home. Any links to helpful stuff are appreciated. Happy 10 year Anniversary Discussing Dissociation! I will start out by saying that I love this blog and I’m so thankful it is here as a tremendous resource. My biggest hang-up is the lack of dates/times and follow up to comments posted. I do not have the time to come back daily to check to see if my comment has been replied to. I would LOVE a “subscribe to comments” button when I post a comment. Discussing dead/injured alters (this is currently an issue and I can only find one source ANYWHERE on it, I’m sure I’m not the only one with a “dead” alter). Discussing good internal communication (I know that this is hit on a lot, but it’s always good to get new ideas). I do have an insider (I prefer this term rather than alter) that is 9/10. She’s fairly new to me, so I’m not sure she will participate — but I will try my best to show her some extra love this week. So great to hear your voice here. Just wanted to encourage you to date your postings to keep track of a timeline. I have mixed thoughts about the need to do this (i.e., thinking that when something is posted does not really matter) but I am in the habit of dating my postings. I also keep a copy of my postings on my desktop in files organized by article topics so I know what I have posted and when. So, at least I know what blog article to check to see if there is a reply. But, I do check the DD website just about every day in the morning and as a final bedtime ritual – especially if I am hoping for a reply to something that I have posted (I am too impatient to wait … LOL). I have really busy days where all I can do is skim through who has posted on what topic and then look at some of the posting if I have the time. I check daily as well for anything new from Kathy. Sort of like brushing my teeth every day. I just would not feel right if I didn’t check in. Okay … a little of my obsessive-compulsive nature showing through … hahaha! Oh and … ya the format is really not great for dialogue. It is a blog after all that we all kind of took to writing back and forth on like a forum. Kathy is probably wondering what kind of a monster she created giving us open access to comment and talk on everything under the sun here at DD. That is why I am looking forward to the new forum. That is really the best way to handle some of the issues that you have pointed out here. Hope to see you there. I try to remember to post the date, but often forget. Oh well I guess. I comment mostly from my phone, so it’s harder to keep track of everything. I follow a lot of blogs and almost always have the option of “subscribing” to the comments. As far as the date and time (and the comments too I suppose)… That impacts my OCD. It’s really dealing with the uncertainty. What if I miss something valuable? What if? What if? What if? . I’m glad your routine works for you to be so dedicated. I know that I always look forward to reading your input and comments. Quite a few of your comments sick out in my mind. One being your “family photo album”. I have taken it and adapted it for me. I have a Pinterest board of pictures for exactly that purpose. It’s recently really helped my T too (even though I’ve had the board for a year, I recently showed him after seeing your comment again). Anywho, I work, go to therapy often, and have a young child to care for, on top of trying to apply things I’ve learned here… I don’t barely have a minute to breathe. I hope that the forum addresses some of these things. Oh my … I hope that my posting did not sound too preachy (I do this and I do that). Was certainly not my intention. I sincerely apologize if it came off as anything more than my relating my obsessive-compulsive ways of doing things. Just my way is all with the thought that there may be something there for others to consider. And, I so understand about “uncertainty”. That is why I am so overly compulsive about organization. Always have been but am just getting to know the “why” of it since my DID diagnosis. I have had to be rigid about how I organize my life because it gets so off-the-rails so easily (and often). I have to know that I can count on some things always being the same and there for me in my normally chaotic life. That is why I check in on the DD website at least twice a day. It is like a lightening rod for me grounding all of that chaos and uncertainty of my day. It is not dedication for me – it is survival. So glad that the idea of a “family photo album” has helped you! Wishing you a few moments every day to breathe CD. PS – Apologies to Kathy for going off blog topic here. Thank you for such a detailed response to the 10 challenges! It’s great to hear from you, and I’m glad you have found the blog to be a “tremendous resource”. WOW. That’s a fantastic compliment – thank you! The good news is — YES, yes, oh gosh yes, the forum format will be MASSIVELY easier to follow and find topics, especially when there are so many different comments / conversations occurring day after day. No doubt about that. Forums are intended to keep a zillion conversations organized all at once, and blogs …. well, blogs were not made for that purpose. It certainly is hard to find previous comments here. I agree! AND, of course, simplifying conversation formats is one of the main reasons for building the Forum in the first place. I’m sure it will take a little adjusting to, but I’m looking forward to all the new ways that conversations can happen between folks. You’ve also brought up a good point about adding a “subscribe to comments” feature at this blog. I’m really not sure why that hasn’t clicked in my brain before — maybe you said it with the exact phrase for me to hear. If that is possible, I think that is a great idea. So…. I’ve written a request to the Computer Gal to check into that feature to add for us here on the blog. Her top priority of the week will be getting the Forum finalized (oh, we are so so so close! ), but once she has that completed, she’ll get back to me, I’m sure. Please send a friendly hello to your newly found 9/10 year old insider! I hope she’s having a good day! Useful: When we have someone who is really interested in supporting us, we come here to give them articles or videos or podcasts to help answer questions that we are unable to and they so much appreciate the information. Open-minded: Love to read the replies to articles. At times they can be just helpful as the original article associated with the article. I am sorry that some of your posting did not get through. There must have been some technical issues at your end or perhaps Kathy’s end (she sure has had some troubles of late). I am saying that because only once this past year have I had a posting not appear (for good reason as one of my insiders went off). When I have issues/problems, I write to the Client Care Team – namely Claire and Alex. They helped me sort things out on several occasions. If you have problems with your postings again, send them an email at: admin@discussingdissociation.com. They are super kind and helpful. 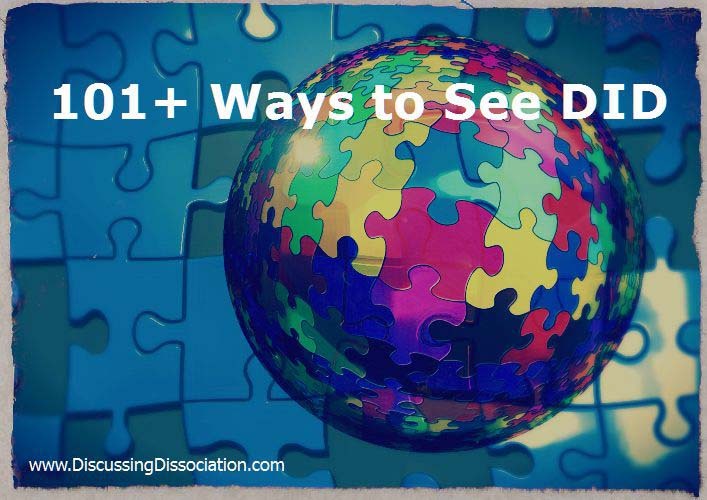 Oh, and you can check them out on the blog article – “10 New Additions to Discussing Dissociation Designed to Help Your DID System”. Hum … I have had the same problem with the pop-ups for the “101+” article but not consistently. I guess that I should have sent a note to the Team about it. I guess that Kathy knows now so that is good. Actually, that is a helpful reminder to us all that when we encounter problems like this we let Kathy and the Team know. They cannot know that there are problems unless we tell them. Thanks for your long reply! You’ve brought up some good questions, and I’ll see if I can reply to them. 1. I remember that for some very bizarre and unknown reason, your comments had ended up in my Spam folder instead of the Comments folder. There was never any answer for why that happened as your responses have always been very appropriate, positive, worthwhile comments! I have to admit — sometimes, through the years — I have forgotten to check the spam folders, and it empties automatically every few days, so…. there is some possibility that I’ve missed posting comments from you if new ones went into Spam and I didn’t catch them in time. For example, a comment from ME+WE went into the Spam folder recently. And why? why? why? I have no idea. I know a few other very decent and positive comments have ended up in Spam as well, so I’ve been reminding myself to check that area on a regular basis. Hopefully I won’t miss any more positive comments that way! 2. And yes, as ME+WE suggested, please do contact the Client Care team now if there are any issues or concerns. They are there to help, and they can carry the load when I have far too much going on to manage all the different pieces. The Contact page is the quickest and easiest way to send them a message. 3. There will always, always be free articles, and free information, and free resources here at Discussing Dissociation. That fact is important to me, and that will never change. And yes, as the blog has grown, and as a bigger and bigger team is needed in order to maintain or develop all the responses / requests received, there are certainly more and more costs involved too. For me as well! Amie, I am just like any other therapist who charges for their services. I do LOTS of free things, and yet, I need to pay normal living expenses just like everyone else. This blog is my office, so you know… some things are free, while other services will require a payment, of course. I’m not an agency nor am I funded by any governmental account. I’m just a clinical therapist dedicated to the population of dissociative survivors. There’s nothing fancy about me, that’s for sure! 4. I will send a copy of your experiences with the pop-up’s to the computer girl. This is her area of expertise and I let her look further into that issue. Thanks for the feedback! 5. THANK YOU for referring your friends and supporters to this site for information! I am super glad to hear that. There will be more and more articles and resources added over time, so hopefully, they will feel even more supported and educated as this site builds and grows. I am so very pleased to hear that you experience this site as non-judgmental. THAT’s a fantastic compliment and a wonderful statement about the quality of folks who visit this site. We are a positive, helpful, kind community, and I certainly intend to keep it that way! I wish you the best in your healing journey, and thanks again for all your feedback. LOL … I am sure a lot of my messages end up in your SPAM folder Kathy. For years I taught my students to simply filter unwanted messages directly into their SPAM folders. I know that that is not the case here … at least I hope not … hahahaha. I will let you know that sometimes I get the message pop up that I have already posted this comment when I have not (although I have participated in the thread). Sometimes I try again because I am so uncertain if an insider has messed with me or not. Just thinking that that may be why they end up in your SPAM folder? We’re gonna keep your computer gal busy! BTW Amie, I should have specified that the one message of mine that did not get posted was filtered out by Kathy. She contacted me and told me why and I wholeheartedly agreed. One of my alters posted without my knowing and I was extremely happy that Kathy caught it. What an honest and expressive response! Bravo! I mean that. Because sometimes people don’t say what they are thinking or pointing out difficulties with honest expressions. The money issues you expressed are something we can relate to. I can tell you a time we expressed the same difficulties with this site and with Kathy. I can tell you that we have learned over the years that this site and Kathy has a LOT to offer at no cost. I don’t think you had to pay for Kathy to respond here at all. I get what you are saying. I think there’s a longing to have access to the portions of the site that requires money. Yet, there is no way that you can have that. That’s hard.. very hard. Been there and doing that too. I’m not here to make you change your mind or guilt you. I just want you to know that I understand your frustration. I admire your honest thoughts and opinions. Challenge number 6 word acronym for Discussing Dissociation. Happy 10 Year Anniversary! Keep up all your good work. Thanks for the giggles you created a little further down in this thread. Challenge 1: I find Discussing Dissociation inspiring, thought-provoking, affirming, healthy, real, satisfying, challenging, thoughtful, caring and connecting! Challenge 5: My ten-year-old gets a say in great clothes to wear pretty much every day and she loves it. Lots of energy for picking out clothes for the day! She wants to go to the movies, so Friday night is going to be movie night. 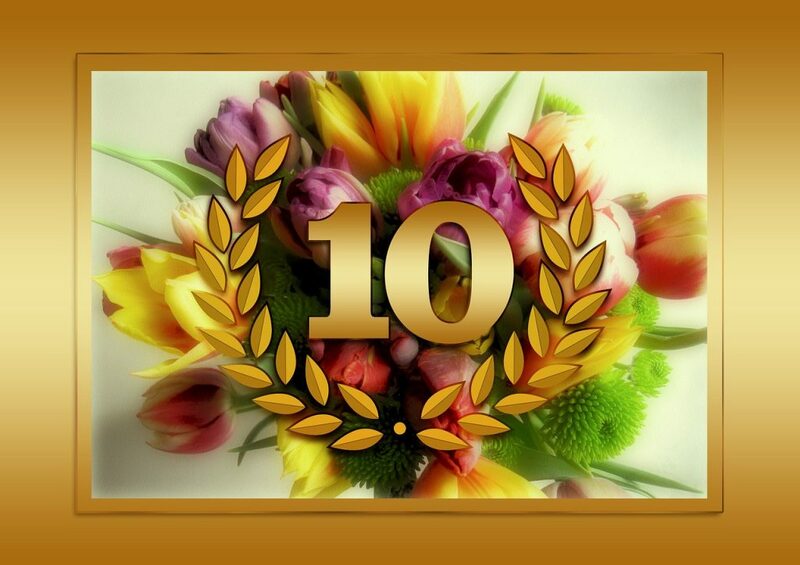 Congratulations for your 10 years old wonderful DID site! I have read your site for years, and I am grateful for everything in here: when I’m reading Discussing Dissociation, I remember and I feel that I’m not the only person in the world who is suffering deeply because of horrible childhood, and I also remember that in the world is a lot of people – like you Kathy! – who is looking STRAIGHT to us and our painful wounds and scars from childhood. Thank you very very much, Kathy! It’s just always soooo cool to see folks from all kinds of countries reading and posting here. Finland! That’s awesome! It’s wonderful to hear from folks who have been around for years…. quietly reading in the background. I am enjoying “meeting you”, and I am really glad you are here. And thank you for your very kind words. I can assure you that you are not the only person suffering deeply, and it’s good to hear that you are finding comfort and healing from being part of this site. Please keep reading, and thanks for letting us know that DID is represented here from Finland as well! Awesome to have you around! I remember reading that most of us were from the states. I’m wounding what Country do you have. Communications with. I just think it’s amazing how everything comes to me in English and I do not have to translate anything. So however that is achieved. I’m grateful for that. That way I will not miss out on any postings. I’m wondering if you could list the different countries that do communicate . And what the percentages are are used the blog. How is youtPrecious granddaughter doing is she recovering well emotionally? me and wendy be 10.
we dont no anything fun to do. we dont no if were gonna have therapy this week or have a turn. we mosly just try to stay out of the way. It’s good to hear from you, and oh my goodness, I most certainly hope you can think of something fun to do! You usually have lots n lots of fun ideas, and you know all kinds of stuff about playing. I can hear that you are feeling a little sad… I hope that you don’t have to keep hiding tho’. It’s okay to come out and do more of those fun things. What are 3 good things that you get to do today? I am quite sure that you can find 3 good things for today. Will you write us back and tell us what you find? Congratulations Kathy on an outstanding 10 years! Your devotion to helping folks with DID is awe inspiring. You are a precious gift to our community. 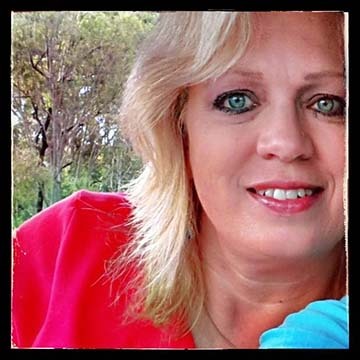 So, I am adding a challenge here for everyone who wishes to participate – Challenge: It All Began With Kathy – 10 words to describe Kathy. Brilliant; Warm; Unassuming; Caring; Knowledgeable; Selfless; Real; Passionate; Funny; Crusader. Grounding; Informative; Insightful; Compassionate; Welcoming; Honest; Safe; Inclusive; Fun; Healing. 5) What Happens When you Don’t Talk to Your Insiders? 7) What Do You Need to Know About Dissociative Identity Disorder? 8) Why Bother to Integrate if You’re Multiple? Challenge 3, 4, 5: Working on these. I do not have a ten year old but I do have a twelve year old who I think wants to speak later. N – NAVIGATION: Getting through our daily lives as multiples – the ups, downs and in betweens. Challenge 8: Checking the DD website for 10 minutes every day … already do this as a part of my daily routine … this is my rock, safe/grounding place, my community! Challenge 9: Financial contribution to the DD website … happily done! Challenge 10: A bit harder. Only a few folks know about my DID to share with. Guess my husband is going to get 10 messages from me! Kudos and gratitude to the whole DD team! Oh Jessie … what wonderful words you have chosen to describe Kathy … especially your mention of her love of animals and trees (nature) because these are some of my personal favourite things as well. Oh and yes — Kathy has a beautiful smile. So nice to see her smiling picture on every DD webpage. Kinda makes you feel like she is there with you all of the time. I so relate to your likes as well. My little ones love arts and crafts. I think that we will be making a snowman soon … oh, and installing a merry-go-round. What a great idea! My little ones love the horses that we go and visit but we would never ride them. But, we would ride on merry-go-round horses. We can colour them to look just like our real horses. You have said some super kind things about me! And you are learning stuff – I think you must be watching those videos! But ummmm… you forgot to say how much of a silly pants I can be, hahaha. Oh but, Jessie… I have not not not forgotten that Baby has asked for a new story. I did not forget for one second! Yes, I have been super slow over here getting that done, (sorry, Baby!) but I have not forgotten! I hope you are having a good day and please say hi to Baby for me too! Hi, I’m Hannah and I’m 10. We also have Kecia who’s sometimes 10.5 and sometimes 11, but that doesn’t count, cuz it’s not 10. But I just wanted to mention Kecia just in case. Our bigger people are feeling kind of blah so they can’t do the other challenges right now. Anyway I am glad that you and the other helpers are here cuz this is a great place and you help a lot of people. So happy anniversary and I hope you can be here for a long time. The KenKen I talked about is a kind of number puzzle. I don’t know if the KenKen who writes here likes doing KenKen puzzles. Our bigger people say it is okay if I don’t do the other challenges. Cuz it’s too much for us to think about. Yup we talked about it Is it a hard to play KenKen? KenKen puzzles come in different sizes. The smallest is four squares by four squares. Those are the easiest. Most of the ones we do are six by six. I really like math so they are easy for me. And…. I’ll say hi to Kecia because 10.5 is still part of being 10 too! Hi Kecia! Thank you for saying hi, and I hope you and Kecia can read and write on here lots more. I hope you sing a song today, Hannah — just because it’s fun and you like to sing! Maybe sing 3 or 4 songs! Will it help your bigger people feel less blah if you sing some music to them? I hope you all have a happier day. I kinda got a little giggle out of what y’all said. Hannah, I wasn’t sure if you meant me because you were naming off different games you liked to play and my name was there and I kinda thought maybe it was a typo or something. But, but, but…that is so sweet! You seem like a smart girl. Rocking the 10 year old! I’m glad you have many people around your age inside to spend time with and play. I have no clue how to do Sudoku, it seems really hard just by looking at it. Jessie, Hey. I just gotta clear up a little something. I guess my name confuses a lot of people. There have been several people who think our outside body is male, but we are an outside girl. Got lots of male insiders. Lots and lots. KenKen is a name T.Clark gave us. He called us that once and it made me feel very loved, a special nickname from a friend. Our last tag name was Kennedy. That is my last name. But, Im a girl. I hope I am nice to everyone. Sometimes I can get…not nice…but usually I try to be friendly. Thank you for clearing that up. I didn’t know KenKen was a game to. Hi to Kathy, KenKen, and Jessie. I am answering all of you in one post. To Kathy: Thank you for writing back. Maybe I’ll sing a song on the inside. I like to listen to music on the radio, but our bigger people listen to news or sports. So I don’t listen to music that much. And thank you to KenKen the person for explaining to Jessie about KenKen the puzzle. Only cost! Lola. I was confused. I didn’t know KenKen was a game. Oh man! That sentence makes so much more sense in that context! Sorry I was confused. Lolz! There is a game named after you KenKen. Hum … we know that you are a complex puzzle that has helped our brain learn so much more about DID, life and friendship. But logical … sometimes I am not sure about that … hahahaha (just teasing you). I sure do know that you are darn clever KenKen. Now I know why your nickname name (thanks to T,Clark) has fit you so well!!! Okay … this made my day start with a big smile. Thank you all! OH, I have to agree with you, T.Clark. These gals are funny! I’ve been laughing right out loud as these different posts come in. I didn’t know KenKen was a puzzle game, but I really love how ME+WE applied the definition / metaphor so accurately to you. T.Clark — bet you didn’t realize how clever and brilliant you were being when you came up with the name “KenKen” for our KenKen! It’s pretty perfect — well done, you! Thanks to Hannah’s recommendation, I’m definitely gonna try that KenKen puzzle game soon! Hannah from MakersDozn – thanks for starting such a FUN conversation!! Love it!! Y’all are making my day! Silly autocorrect is what we would blame it on…. … because I got to thinking that — “Only cost! Lola.” — was just too perfectly spelled out and punctuated to be simply a mistake. Oh yes … I do believe in signs from the Other World and that our insiders are our portal to the wisdom of the ancients and knowledge beyond. So, I set about to try and understand just what our KenKen insider’s were telling us. KenKen may have been confused, but I don’t believe that her insiders were. And, after all, there is a logic/puzzle game named after them! Maybe their message was contained in a brain teaser puzzle of some kind I started to wildly reason. Now, KenKen surmised that her fingers were just somehow askew on her keyboard when she wrote this even though the rest of her message read just fine. So, I explored this possibility first. There were only two logical combinations possible in my mind (assuming that she meant only to type letters predominantly) but “PM;U VPDY” and “IBKT XIAR” did not make any sense at all. I didn’t throw my research out (it may mean something later) but I abandoned that route of inquiry fairly quickly. Okay … yes … I was too lazy to explore that line of investigation any further. Next, I explored the idea that “only cost” was a word scramble of some sort. But, “only” has no other variations and “cost” only rearranges to “cots” and “Scots”. So, unless the message was intended “only” for folks of Scottish origin (“Scots) there was no sense to be made of it (no offence to any Scots reading here). But, what if “only cost” was actually one word to be unscrambled? Well now, that would give us – tycoon and cytosol. Now we are getting somewhere interesting … I thought … hoped! The word tycoon I knew so I looked up the definition: a wealthy, powerful person in business or industry; a title applied by foreigners to the shogun of Japan in power between1857 and 1868. (Merriam Webster) Hum … well … we are all certainly powerful (although we may not realize it) … but wealthy? Not accurate for most folks here I am thinking. Actually, the DID diagnosis means Deeply In Debt for a lot of folks. Then there is the six degrees of separation between Japan and our KenKen game. But, this just did not feel right to me. My gut was telling me there was something more to be found. Cytosol is the perfect metaphor for DID. Every part of who we are is cellular in structure. Within each cell of our bodies is the essential life fluid of our existence – cytosol (our systems). Our cytosol (system) is divided up into various compartments by membranes (dissociative walls) that are a natural part of our most basic cellular existence. Perhaps most importantly, there are multiple layers of organization to our systems and, as such, we cannot view our systems with a simple solution in mind. In other words, our systems are as basic and essential to our existence as cytosol. Oh wow … what can Lola possibly add to all of this understanding. Well, Lola can only be reorganized as “olla” – “An olla is a ceramic jar, often unglazed, used for cooking stews or soups, for the storage of water or dry foods, or for other purposes.” (Wikipedia) Well, we know that Kathy is big on making homemade soup, so “olla” certainly was feeling like a good fit. Having a container to store all of our stuff is certainly a wonderful idea. But wait — that is who we are. We are the container of something very special – our systems (our cytosol). We are our ollas. But we have our Discussing Dissociation olla as well. We pour out the contents of our minds, hearts and souls here on the blog pages every day and our DD olla provides us with a safe, compassionate and welcoming container to hold us in thoughtful care. What a beautiful metaphor for our community here — our DD olla. So, you see, I believe that KenKen’s posting — “Only cost! Lola.” – was not a mistake after all. KenKen’s insiders had something important to say to us. Oh, and maybe the final thing that they were trying to tell us is that learning to work with our insiders, to communicate with them, to find out who they are and what they have to say, etc. is a lot like the KenKen mental/logic/puzzle game as well as the brain teaser that KenKen’s insiders offered to us here. Life is not a game for sure. But, the challenges that we are facing to understand our selves and work with our systems requires the same kind of work, perseverance, open mind, willingness, creativity, trust, gut feelings and maybe … just maybe … a little dash of fun along the way. Just a little fun folks … well … and maybe a few truths mixed in along the way. Sincere warm wishes to my DD olla! PS – Yes I have a cold, the power is out here and I am really feeling stir crazy … hahaha!!! Wow! You should be a detective. That was such an interesting read. Thank you for sharing your research!! The real key to this little bit of fun is that our insiders are continually offering us information that we may not understand. It takes creativity, an open mind, trusting our gut instincts, lots of work and a willingness to look beyond the obvious sometimes to figure out what they are trying to tell us. But, it is so worth the effort! I like to be outside and go to where I can be in nature, but it’s too cold now to be outside very long. One time when our outside lady went on a trip with one of her friends who knew about us insiders, I got to swim with a dolphin. That was so cool!! I wish I could do that again! I like to read and to draw and color. I like to play mahjong sometimes. I don’t get to be out very much right now because our outside lady has to work a lot to pay the bills, and when she gets home from work she is really tired so we eat dinner and sometimes watch TV for an hour before we go to bed. I hope maybe soon we can come here more and read things and write more to people. Our grown-ups say this is a good and safe place to learn things and share things with other people who have lots of insiders like we do. I don’t think I’ve ever gotten to say hi to you, Little Eagle, so hi hi hi! I’m glad to hear from you and you know what? I really like mahjong too! And I want to swim with dolphins – I’ve never done that, but I have seen a lot of dolphins in the ocean water near me. I went to see humpback whales a few months ago! That was pretty awesome! And you know what else, Little Eagle? It is very okay that you are native American, even if your outside lady is not. It’s okay to be exactly who you are. I know lots of native Americans, and they are all beautiful people. we got to buy a used book on the computer that we wanted. its called the princess diaires. we are ten. I’m lil scared about posting. I don’t know how others will like it. 😖 I love horses and dolphins. I like to color and read and paint. I like the idea about artwork. I also love to be outside doing anything. But it’s cold here so we don’t go out as much as I’d like. It’s not been a great day. I don’t feel very good. 🙁 The littles are whiny and the bigs are groucho pants. Bedtime soon. Hi Jessie! It snows here too! It’s all melted right now. 🙁 I love the look of the snow on the trees. It’s like a fresh clean blanket! But the bigs hate snow because of driving in it. I used to have a little doggie too! But he died last December. It made me so sad. Wouldn’t it be nice if Kathy had a place just for us 10year old to chat And share fun stuff. We live in the northeastern USA. In a small state. We are one of the 13 colonies that were first developed in the United States . I can’t tell you anymore then that . We’re not allowed to share were we live on line. For safety reason. That’s cool don’t you think ? Did you do 10 puzzle! Or something Special ? I didn’t do no challenges but a little it is a challenge to write here becuase its super scary and we don’t talk much espeshilly me. did you do any special thing? I feel happy you talked to me. Want to comment on the challenges but too scattered…too lost….too overwhelmed right now….glad others are able to step up….I just can’t step right now……. I’m sorry you are feeling scatters. It is never a good feeling when that happens. It is Sunday here in the USA. And the body been in bed all day. When Lori gets a migraine none of us are aloud to get out of bed.